Jeremy Pollack is a Connecticut-based photographer with a wide range of interests. Growing up in the woods, his first love has always been nature photography which he started shooting with his father's Canon FT QL. As his passion grew over the years, so did the breadth of his interests. 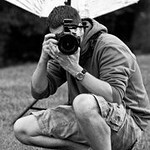 Today he shoots commercial and fine art photography, selling prints for home and the office at galleries and online. To connect to his blog, portfolios, fine art storefront and other online presences, please visithttp://www.jeremypollack.net.